The University of Washington has received a six-year, $15.6 million grant from the National Science Foundation to expand the work it does creating novel materials with unique properties that could be a boon to future technologies. Turning skyscrapers into giant solar panels. Making computers faster and data encryption more powerful. 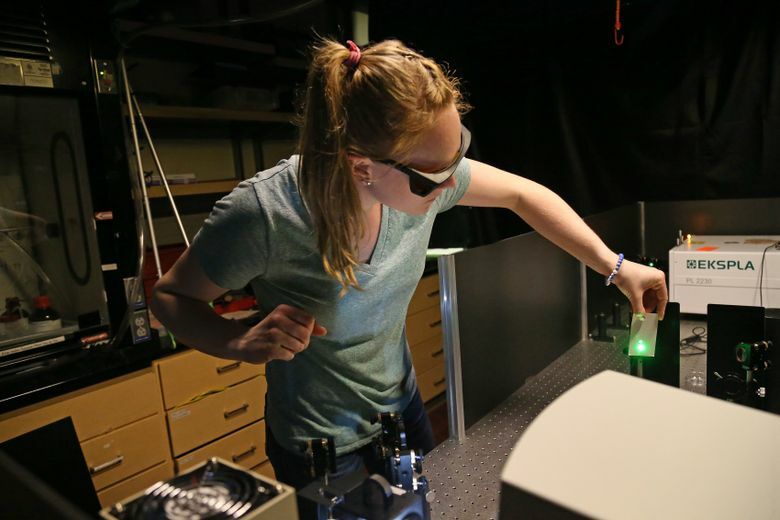 With a $15.6 million, six-year grant from the National Science Foundation, those are some of the projects that researchers from the University of Washington plan to tackle. The key to each: New materials, such as special window coatings that can absorb sunlight, and nanocrystals that can speed up computers. 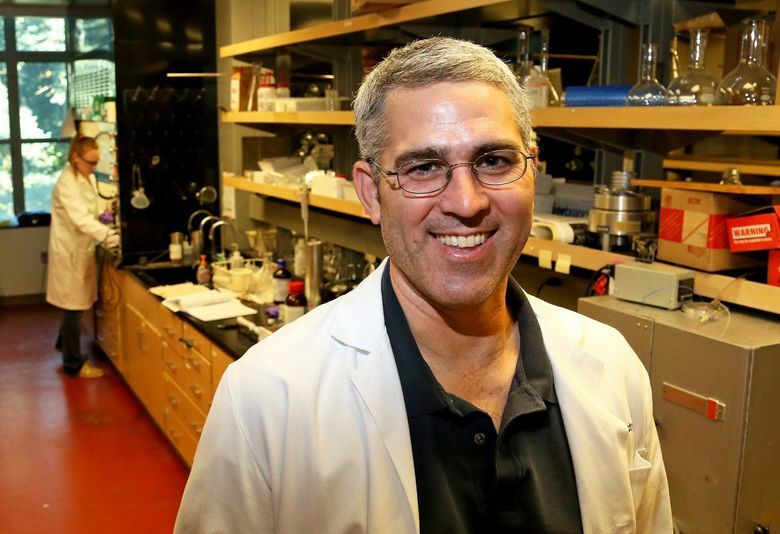 With the money, the university will start a new, interdisciplinary center, called the Molecular Engineering Materials Center, to expand its research on new materials. The National Science Foundation supports 20 materials science centers across the nation; the one at the UW will become the second of two on the West Coast. The other is at the University of California Santa Barbara. Daniel Gamelin, director of the UW center, said the grant will allow scientists to pursue “moonshots” — projects that have a potentially high payoff but can’t be funded by the size of grants typically doled out to researchers. Gamelin, a chemistry professor, said researchers who work with materials on a nano scale are constantly surprised by how they react. Often, materials at the nano scale don’t behave in the same way as their larger counterparts. Scientists involved in materials research find ways to work with those unusual physical properties, turning them into “the wellspring of future technological potential,” he said. He and his colleagues were recently working with magnetic semiconductor nanocrystals, expecting to be able to control them using their magnetic properties. But there was a surprise. “We ended up making a material with emission that … was super-strongly dependent on temperature,” Gamelin said. “We sat around and talked for an hour about how we might use this unusual temperature dependence. “At the end of the meeting, we just decided that what we had made was a really good optical thermometer,” he said with a laugh. In its grant-winning proposal to the National Science Foundation, the UW team discussed how it could contribute to efforts to develop the new window coating — which would absorb sunlight, then channel that energy to the window’s edges, converting light into electricity and, in effect, turning a glass skyscraper into a giant solar panel. The idea has been around for years, Gamelin said, but no one has yet invented a material that would make it possible. The researchers also want to examine how they might make computing more powerful by tapping into the quantum properties of electrons — a path that “would open up a new realm of microelectronics technologies,” he said. Computers have long used a simple binary system of 0s and 1s to perform their work, but quantum bits of electrons can have intermediate values, and if those values could be incorporated into computers of the future, “that opens up new possibilities for more complex information processing, or more complex encryption schemes that would be difficult to decrypt,” he said. Gamelin said one of the strengths of materials science at the UW is that so many departments already work together on projects. The new center will bring together researchers from the College of Arts & Sciences, the College of Engineering, the Clean Energy Institute and the Molecular Engineering & Sciences Institute. “In a center like this, you come up with ideas that nobody could have thought of individually, and no one could execute individually,” he said. A second focus of the grant is to foster training and mentorship programs for doctoral students and postdoctoral researchers, and to broaden educational and research opportunities for UW students and researchers. It also will expand outreach and mentorship efforts to high-school students from underrepresented groups, as well as military veterans at the UW and area community colleges. “Sometimes the unanticipated consequences of good, fundamental research can have enormous payback,” Gamelin said.